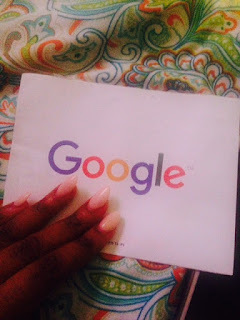 Dabs File- All about my Viral Video and unexpected Cash from Google!!! 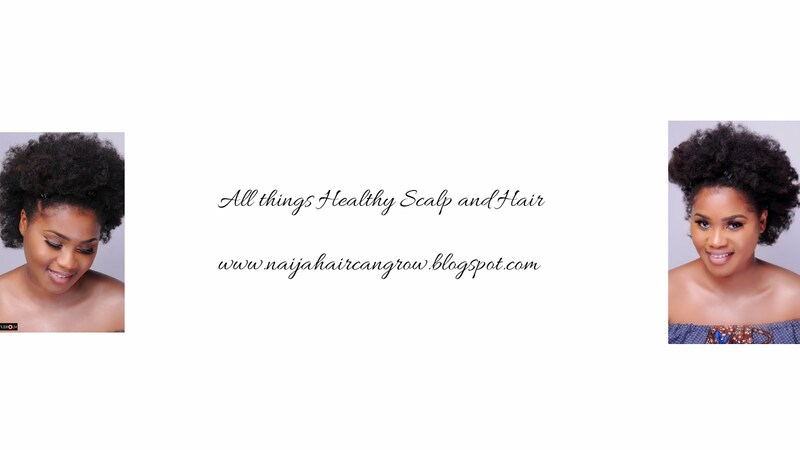 | NAIJA HAIR CAN GROW NAIJA HAIR CAN GROW: Dabs File- All about my Viral Video and unexpected Cash from Google!!! Dabs File- All about my Viral Video and unexpected Cash from Google!!! How's it going ladies...last week I would have to say was the craziest week I have had this year!! I had a bricklayer, a painter, an electrician and a carpenter over at the hub for renovations and anyone who has worked with artisans in Nigeria can attest to their, to put it mildly 'STRESS'!! I recorded bits and pieces of the Reno and will be making a video of it and posting here and on YOU TUBE so stay tuned! You know, You Tube has been very good to me lately *wide grin*, been blogging for years! thought I activated Adsense in fact I did but in all the years with over two million hits, all blogger has given me has been $58...then I put up my 'How to Instant Faux locs' video on Youtube and GBAM!! I seriously have Berry Dakara to thank for encouraging me to film that video and after examining how videos are posted on Youtube with the deliberate intention to go viral I can now see why people post videos of say a cat singing or a dog twerking....all them clicks turn into cash *Cha-Ching*!! The title is everything!! Make it concise, attention grabbing and niche(a specific topic) for example a topic like How I spent my day swimming at the beach will get much less clicks than a topic that says; Almost eaten by a Killer Shark...anyone who reads that will like to hear that story if sharks or large bodies of water is their thing. With regards my video, there are tonnes of Fauxlocs videos but I think what pushed my video was the use of the word 'Instant' and I also included the time frame. I.e 2 to 3 hours max...for those who have sat 8 hours straight getting locs done, the title is a no brainier and the video a must watch! Tags and keywords are essentials, I used keywords suggested to me rather than create my own, so while my video was How to make Instant fauxlocs, I didn't rely on just the tag 'instant fauxlocs', I put the already established fauxlocs tag, natural hair, locs, protective style...essentially anything to link people in search of locs to my video. Which is why its best for your topic to be a trending one, one that people are looking for videos about. Thanks for sharing Dabs dear, excellent tips to keep in mind. Well done on the Viral Video, wish you many more. Thank you so much for your sharing. I sincerely admire your openness. Wishing you many more viral videos. I liked the video too...it was very well made. Thanks dear, please vlog about your time in Hong Kong, I know ill be watching that!! 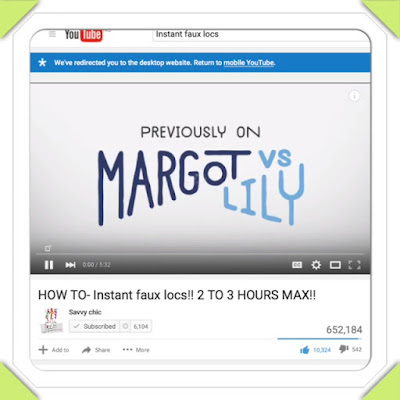 I loved the video too,even shared it to some friends and yea it was the "instant" that caught my eye. I want to try my hand at vlogging too. Yaaayy, see my life. And I have been here roasting, lol. AUNTY, DASH ME SOME OF THE MONEY NOWWWWWWWWWWWWWWWWWWWWWWWW. PLIX, I BEG OF YOU!!!!!!!!!!!!!! Thank you for sharing helpful information.I have been looking for Hair Transplant Cost in Chandigarh at affordable cost.